A program established by investigators from the Ragon Institute of Massachusetts General Hospital (MGH), MIT and Harvard is addressing the persistently elevated risk of HIV infection among young women in South Africa from two angles—first, investigating biological factors that modulate infection risk along with the early immunologic events following viral exposure, and second, alleviating the socioeconomic factors that limit opportunities for young women, the group at greatest risk of infection in the region of the world hardest hit by the HIV epidemic. Members of the Ragon Institute team report on the first five years of the FRESH program in a commentary published in Science Immunology. "The South African government's antiretroviral treatment program has enabled a return to near normal life expectancy for those who have become infected, but rates of new infections among young women continue almost unchecked," says Krista Dong, MD, of the Ragon Institute and the Division of Infectious Diseases at MGH, FRESH program leader and a co-author of the report. "Gender inequality results in disempowerment—including a lack of means for women to protect themselves from infection—and economic dependence. 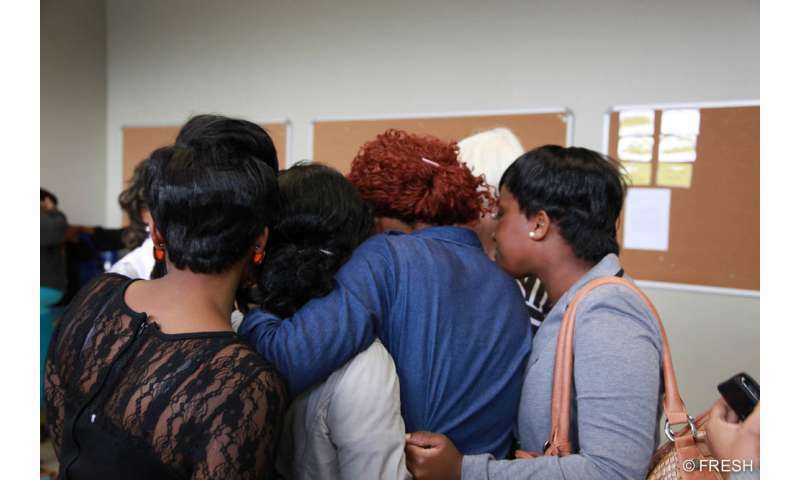 It is estimated that 5,000 young women in South Africa become infected every week. Performing medical research in such vulnerable populations requires special considerations to ensure participants' safety and well-being, so we sought to address major non-HIV-related challenges facing these young women while conducting research aimed at developing an effective HIV vaccine." 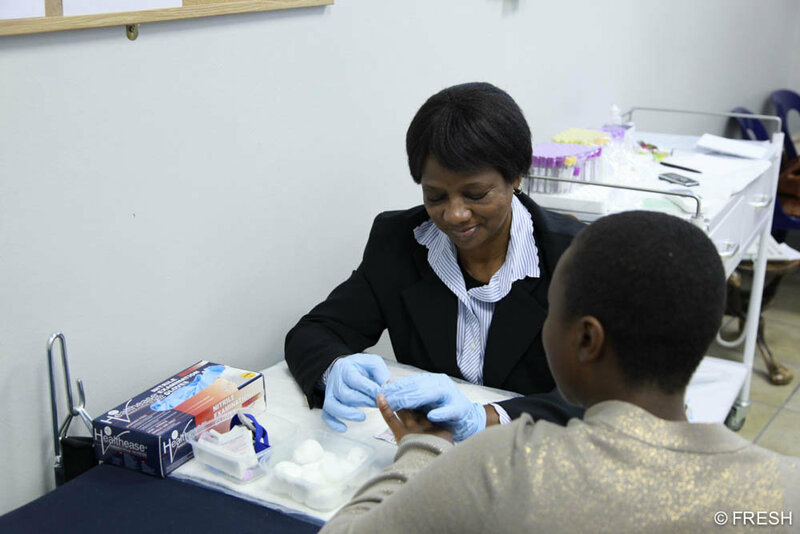 Launched in December 2012, the FRESH study was established in a shopping mall in the Umlazi township of KwaZulu-Natal, a South African province that has one of the highest rates of HIV infection in the world. The location was chosen because of the reluctance of many South Africans to visit clinics unless they are seriously ill due to stigma associated with typical HIV testing and treatment sites. 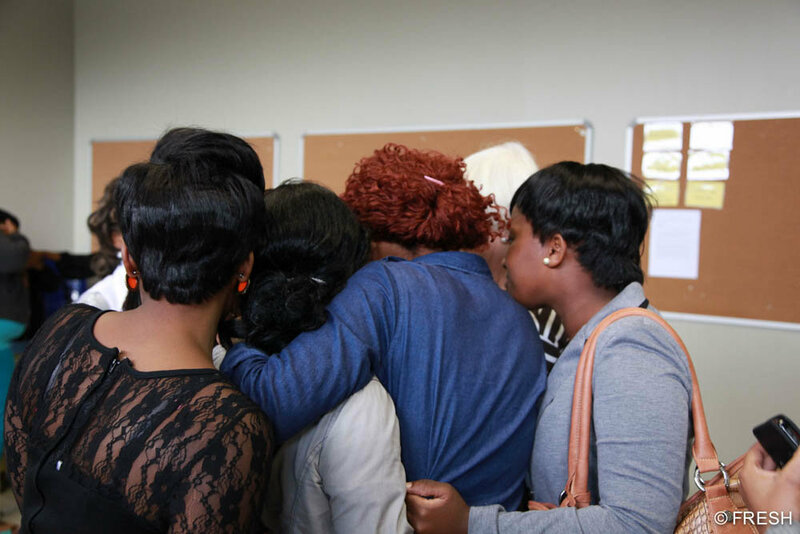 The program enrolls young women ages 18 to 23—not in school, unemployed, HIV-negative and sexually active—in groups of 30 per month to create peer support groups. Participants visit the clinic twice a week to participate in sessions ranging from self-esteem, relationships and gender-based violence, and HIV prevention and treatment to career development, computer training and starting a small business. Participants undergo HIV testing at each visit, with more comprehensive blood and cervical-vaginal sampling every three months. Initially, antiretroviral treatment was not provided at the time a new infection was detected but was only started after a participants' CD4 count dropped below 350, following the treatment guideline for South Africa at the time. Approval was granted 18 months into the program to start treatment immediately after an infection was detected. Most recently, FRESH has begun to offer pre-exposure prophylaxis or 'PrEP' - antiretroviral drug treatment given to prevent HIV infection—which is not yet being provided by the South African government. Basic research arising from the FRESH study has identified biologic factors that may contribute to a higher risk of HIV infection among South African woman—including the composition of the bacterial microbiome in the genital tract among local women, a high incidence of other sexually transmitted infections, and hormonal levels related to either a commonly used contraceptive or the natural fluctuations of the menstrual cycle. "We measure the success of this program both by these important scientific insights and by providing participants with a pathway out of poverty," says Bruce Walker, MD, director of the Ragon Institute, the Philip and Susan Ragon Professor of Medicine at Harvard Medical School, senior author of the Science Immunology report and a Howard Hughes Medical Institute investigator. "The ability to both conduct cutting-edge science and provide a social benefit to participants is encouraging, but we continue to face challenges in implementing more effective methods of prevention, extending FRESH to other groups of women and developing programs targeting men—all of which will require additional philanthropic support."